Crust mix: enriched wheat flour (wheat flour, malted barley flour, niacin, iron, thiamine mononitrate [vitamin b1], riboflavin [vitamin b2] and folic acid), partially hydrogenated vegetable oil shortening (contains one or more of the following: soybean oil, cottonseed oil), yeast, dextrose, leavening (sodium aluminum phosphate and sodium bicarbonate) and salt. 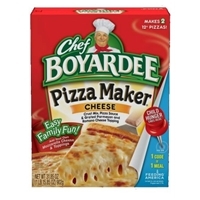 Pizza sauce: tomato puree (water, tomato paste), water, high fructose corn syrup, contains less than 2% of: soybean oil, salt, modified corn starch, spice, medium chain triglycerides, xanthan gum, flavorings, partially hydrogenated cottonseed and soybean oils, and enzyme modified butterfat and oil. Grated cheese: a blend of cheeses (parmesan and romano made from cow's milk [pasteurized part-skim milk, cultures, salt, enzymes]), powdered cellulose added to prevent caking, potassium sorbate added as a preservative.contains: milk, wheat. 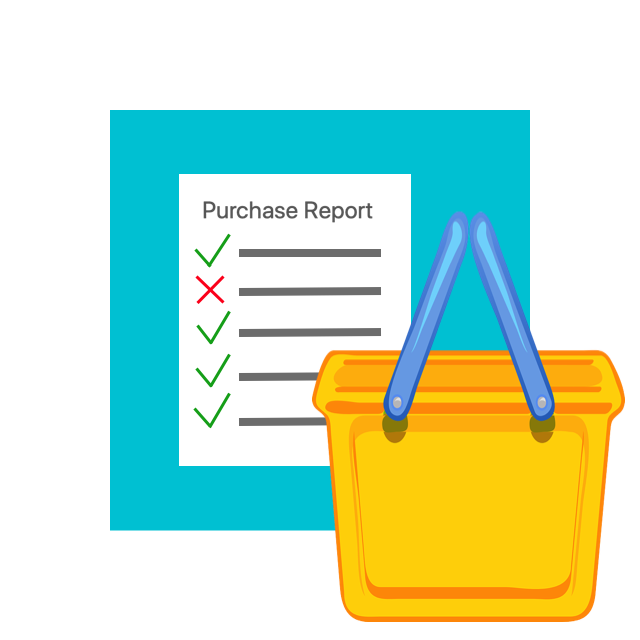 Enriched flour bleached (wheat flour, niacin, ferrous sulfate, thiamin mononitrate, riboflavin, folic acid), water, sugar, partially hydrogenated soybean oil, dextrose, wheat starch, baking powder (sodium acid pyrophosphate, baking soda), palm and soybean oil, whey, salt, cinnamon, corn starch, corn syrup solids, monoglycerides, xanthan gum, potassium sorbate (preservative), polysorbate 60, natural and artificial flavor, yellow 5, red 40.contains wheat and milk ingredients. Contents under pressure! for safe opening, point can ends away from you and others. 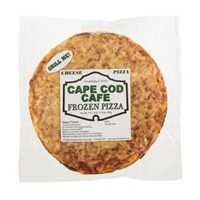 CAPE COD CAFE FROZEN PIZZA CHEESE.508-583-9420.WWW.CAPECODCAFEPIZZA.COM. 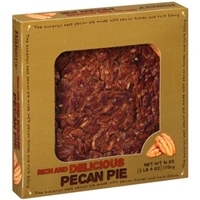 Brand/Manufacturer: Cape Cod Cafe Cape Cod Cafe Foods, Inc. Cheese Pizza Ingredients: Flour (Unbleached Wheat Flour, Niacin, Reduced Iron, Thiamin Mononitrate, Riboflavin, Folic Acid, Malted Barley Flour), Cheese (Pasteurized Whole Milk, Cheese Cultures, Salt, Enzymes), Tomatoes (Tomato Juice, Salt, Calcium Chloride, Citric Acid), Tomatoes Puree, Water, Cottonseed Oil, Salt, Sugar, Yeast, Spices, Garlic Powder, Pepper. 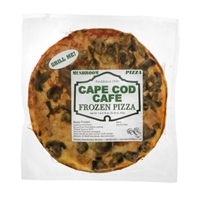 CAPE COD CAFE FROZEN PIZZA MUSHROOM.508-583-9420.WWW.CAPECODCAFEPIZZA.COM. Mushroom Pizza Ingredients: Flour (Wheat, Niacin, Reduced Iron, Thiamin Mononitrate, Riboflavin, Folic Acid, Malted Barley), Water, Cheddar Cheese (Pasteurized Whole Milk, Cheese Cultures, Salt, Enzymes), Tomatoes, Mushrooms, Pureed Tomatoes, Cottonseed Oil, Salt, Sugar, Yeast, Red Wine Vinegar, Spices, Garlic Powder, Pepper. Brand/Manufacturer: The Bakery Walmart Stores Inc.
CORN SYRUP, ENRICHED BLEACHED FLOUR (WHEAT FLOUR, MALTED BARLEY FLOUR, NIACIN, IRON, THIAMIN MONONITRATE, RIBOFLAVIN, FOLIC ACID), EGGS, SUGAR, PECANS, VEGETABLE OIL (PALM AND SOYBEAN OILS), MARGARINE [VEGETABLE OIL (PALM AND SOYBEAN OIL), WATER, SALT, MONO-AND DIGLYCERIDES, ANNATTO (COLOR), CALCIUM DISODIUM EDTA (PRESERVATIVE), ARTIFICIAL FLAVOR, VITAMIN A PALMITATE], WATER, CONTAINS 2% OR LESS OF EACH OF THE FOLLOWING: SALT, HIGH FRUCTOSE CORN SYRUP, CARRAGEENAN, NATURAL AND ARTIFICIAL FLAVORS. Wheat flour, water, peaches, palm oil, sugar, corn syrup, modified food starch, contains less than 2% of the following: salt, potassium sorbate and sodium propionate (preservatives), nonfat dry milk, dextrose, citric acid, natural flavor, beta carotene (color). (allergens).manufactured in a facility that also produces products containing treenuts. 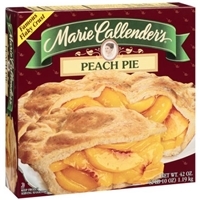 Brand/Manufacturer: Marie Callender's ConAgra Foods Inc. 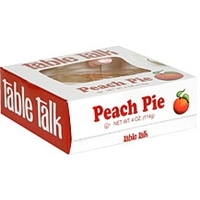 Filling: peaches, sugar, water, modified food starch, salt, guar gum, ascorbic acid and citric acid (to promote color retention). Crust: enriched wheat flour (flour, niacin, iron, thiamine mononitrate, riboflavin folic acid), vegetable shortening (partially hydrogenated soybean oil), water, dextrose, salt, sodium metabisulfite.contains: wheat, soybean. 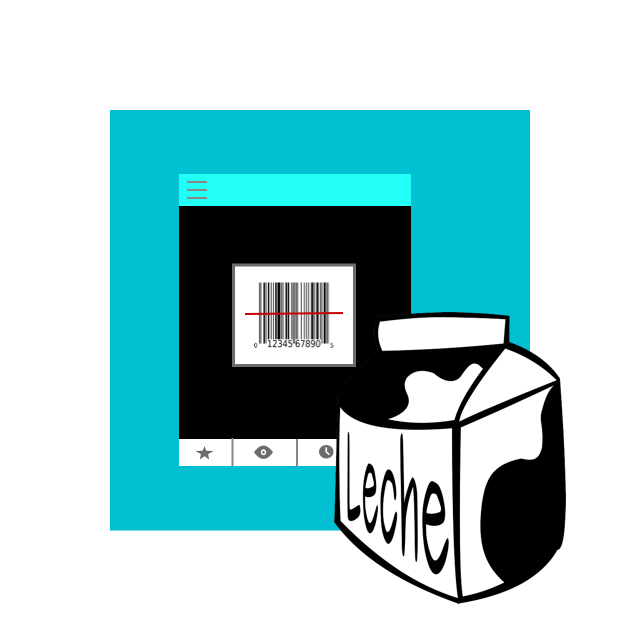 This product is manufactured on shared equipment with other peanut, tree nut, milk and gee containing products. 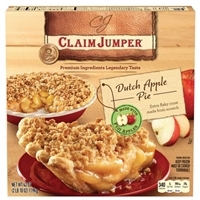 Brand/Manufacturer: Claim Jumper ConAgra Foods Inc. Filling: Apples, Sugar, Water, Modified Corn Starch, Salt, Spice, Citric Acid. 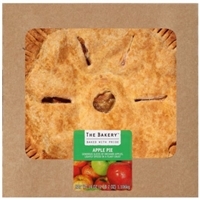 Crust: Enriched Wheat Flour (Wheat Flour, Niacin, Reduced Iron, Thiamine Mononitrate, Riboflavin, Folic Acid), Vegetable Shortening (Partially Hydrogenated Soybean Oil), Water, Dextrose, Salt, Sodium Metabisulfite. 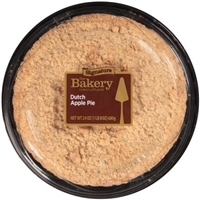 Crumb Topping: Enriched Wheat Flour, (Wheat Flour, Niacin, Reduced Iron, Thiamine Mononitrate, Riboflavin, Folic Acid), Brown Sugar, Vegetable Shortening (Partially Hydrogenated Soybean and Cottonseed Oils), Sugar, Salt, Spice, Dextrose. 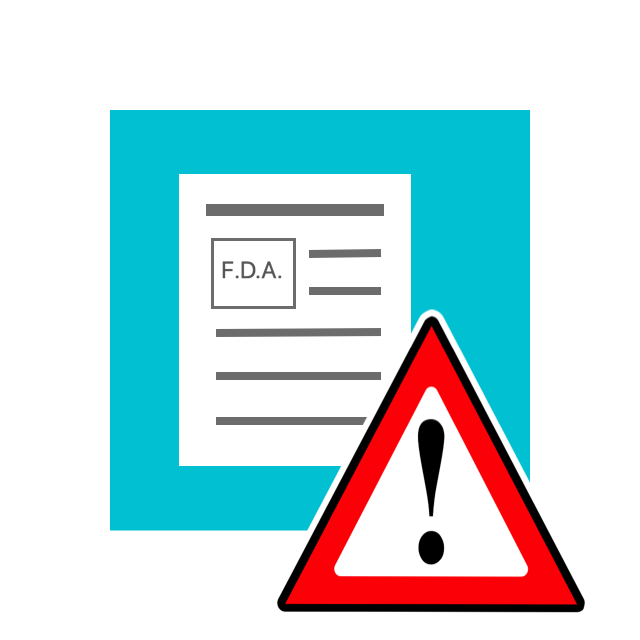 Wheat flour (allergens), apples, water, palm oil, sugar, corn syrup, modified food starch, contains less than 2% of the following: salt, spice, xanthan gum, malic acid, citric acid, potassium sorbate and sodium propionate (preservatives), nonfat dry milk (allergens), dextrose.manufactured in a facility that also produces products containing treenuts. 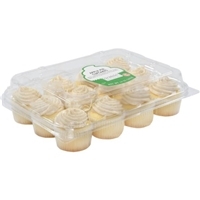 APPLES, ENRICHED FLOUR (WHEAT FLOUR, NIACIN, REDUCED IRON, THIAMINE MONONITRATE, RIBOFLAVIN, FOLIC ACID), VEGETABLE OIL (MODIFIED PALM AND SOYBEAN OILS), WATER, SUGAR, MODIFIED CORN AND/OR TAPIOCA STARCH, CONTAINS 2% OR LESS OF EACH OF THE FOLLOWING: DEXTROSE, SALT, SPICES, SODIUM PROPIONATE AND POTASSIUM SORBATE (PRESERVATIVES). 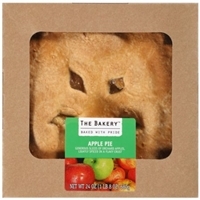 APPLES, ENRICHED FLOUR (WHEAT FLOUR, NIACIN, REDUCED IRON, THIAMINE MONONITRATE, RIBOFLAVIN, FOLIC ACID), VEGETABLE SHORTENING (PALM OIL, SOYBEAN OIL), SUGAR, WATER, MODIFIED TAPIOCA STARCH, DEXTROSE, SALT, FOOD STARCH-MODIFIED, SODIUM PROPIONATE (PRESERVATIVE), SPICES, POTASSIUM SORBATE (PRESERVATIVE), LEMON JUICE FROM CONCENTRATE (WATER, CONCENTRATED LEMON JUICE, SODIUM SULFITE, LEMON OIL), TAPIOCA DEXTRIN. 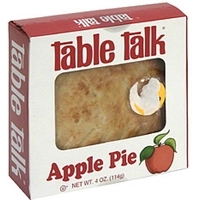 APPLES, UNBLEACHED ENRICHED WHEAT FLOUR (NIACIN, REDUCED IRON, THIAMINE MONONITRATE, RIBOFLAVIN, FOLIC ACID), WATER, SUGAR, PALM OIL, MODIFIED FOOD STARCH (CORN), BROWN SUGAR, MALTODEXTRIN, SALT, DEXTROSE, POTASSIUM SORBATE (AS A PRESERVATIVE), CINNAMON, ARTIFICIAL FLAVORS, LEMON PUREE, NATURAL AND ARTIFICIAL FLAVOR, (WATER, MALIC ACID, ETHYL ALCOHOL, POLYSORBATE 80, ACACIA GUM, XANTHAN GUM, GUAR GUM, SODIUM BENZOATE), CAROB BEAN GUM, AGAR, ARTIFICIAL COLOR (PROPYLENE GLYCOL, FD&C YELLOW #5 AND #6, AND RED #40). 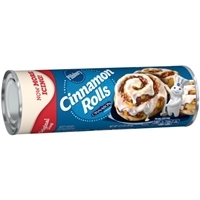 Brand/Manufacturer: Wal-Mart Bakery Walmart Stores Inc.
SUGAR, WATER, BLEACHED ENRICHED WHEAT FLOUR (FLOUR, NIACIN, REDUCED IRON, THIAMINE MONONITRATE, RIBOFLAVIN, FOLIC ACID), VEGETABLE OIL (SOYBEAN, PALM KERNEL, CANOLA), CORNSTARCH, EGGS, CORN SYRUP, NONFAT MILK, LEAVENING (SODIUM ACID PYROPHOSPHATE, BAKING SODA, MONOCALCIUM PHOSPHATE, SODIUM ALUMINUM PHOSPHATE, ALUMINUM SULFATE), EGG WHITES, SALT, FOOD STARCH-MODIFIED, MONO- AND DIGLYCERIDES, WHEY, MALIC ACID, WHEAT STARCH, NATURAL & ARTIFICIAL FLAVORS, SOY LECITHIN, CITRUS FIBER, CINNAMON, POLYGLYCEROL ESTERS OF FATTY ACIDS, XANTHAN GUM, POLYSORBATE 60, GLYCERIN, GUM ARABIC, POTASSIUM SORBATE (PRESERVATIVE), SODIUM STEAROYL LACTYLATE, FRUCTOSE, WHEAT PROTEIN, DATEM, CALCIUM STEAROYL-2-LACTYLATE, CELLULOSE, CREAM CHEESE POWDER (CREAM CHEESE (PASTEURIZED MILK, CHEESE CULTURE, SALT, CAROB BEAN GUM), SODIUM CASEINATE (MILK), DISODIUM CARBOXYMETHYLCELLULOSE, METHYLCELLULOSE, CARAMEL COLOR, BETA CAROTENE (COLOR), SUCRALOSE, TURMERIC COLOR, PAPRIKA, YELLOW 5 LAKE, YELLOW 6 LAKE, RED 40 LAKE, BLUE 1 LAKE. 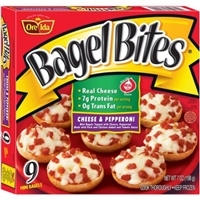 Bagel halves: enriched flour (wheat flour, enzyme, ascorbic acid, niacin, reduced iron, thiamine mononitrate, riboflavin, folic acid), water, contains less than 2% of: high fructose corn syrup, yeast, salt, soybean oil, topping: part-skim mozzarella cheese (cultured part-skim milk, salt, enzymes), diced pepperoni made with pork, chicken and smoke flavor added (pork, mechanically separated chicken, salt, spices, water, dextrose, seasonings [natural spice extractives, extractives of paprika, natural smoke flavor, bha, bht and citric acid], lactic acid starter culture, sodium nitrite), modified food starch, nonfat dry milk, sauce: water, tomato paste, high fructose corn syrup, contains less than 2% of: modified food starch, seasoning (maltodextrin, citric acid, yeast extract, spice, natural flavor), salt, flavor (potassium chloride and ammonium chloride, yeast extract, corn maltodextrin, lactic acid, citric acid, calcium lactate, natural flavor), methyl cellulose, citric acid.contains wheat, milk. 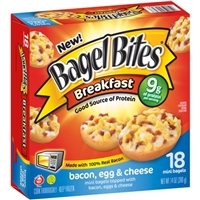 Bagel halves: enriched flour (wheat flour, enzyme, ascorbic acid, niacin, reduced iron, thiamine mononitrate, riboflavin, folic acid), water, contains less than 2% of: high fructose corn syrup, yeast, salt, soybean oil, topping: egg white, whole egg, cooked bacon (bacon [cured with water, salt, sugar, sodium phosphates, sodium erythorbate, sodium nitrite], smoke flavor), part-skim mozzarella cheese (cultured part-skim milk, salt, enzymes), water, contains less than 2% of: corn starch, modified food starch, skim milk, xanthan gum, high fructose corn syrup, beta carotene, sauce: cheese sauce: cheese sauce (milk, water, cheddar cheese [cultured milk, salt, enzymes], whey, milk protein concentrate, corn starch, natural flavors, salt, sodium phosphate, modified cellulose, xanthan gum, sorbic acid [preservative], mono and diglycerides, autolyzed yeast extract, sugar, beta carotene [color], beta-apo-8-carotenal [color]).